Keeping out all things un-Islamic does not target LGBT people only. Such laws will disproportionately target socially vulnerable groups, including women, children, the economincally disadvangated, and religious minorities. Yet many of the news and even some LGBT organisations do not seemed concerned about others. Both Human Rights Campaign‘s and Gay Times‘s article on this news failed completely to mention other equally horrific laws from Brunei. Reuters titled its article “Brunei urged to halt introduction of strict new anti-LGBT+ laws”—as if only the anti-LGBT part of new laws should be halted. In many other news articles, the stories are titled in a way to bait liberal outrage, and only mention the other horrific laws against theft and apostasy in passing. This trend of reporting failed to show that LGBT rights are part of a larger struggle for democracy in the region. LGBT rights activists are part of the civil society movements in many countries. Where LGBT activists of certain countries are left out of their country’s processes, the rest of us from other parts of Southeast Asia make a point to include them. We are not alone. LGBT rights activists here are not only struggling against anti-LGBT laws. We are also fighting a barrage of laws in the region that are anti-democracy, anti-human rights and anti-freedom of expression. Colonial era laws like the Sedition Act have been used to jail and silence activists in Malaysia, and they are still being used by the police in the supposedly New Malaysia. In Singapore, the government sue critics till they are penniless. 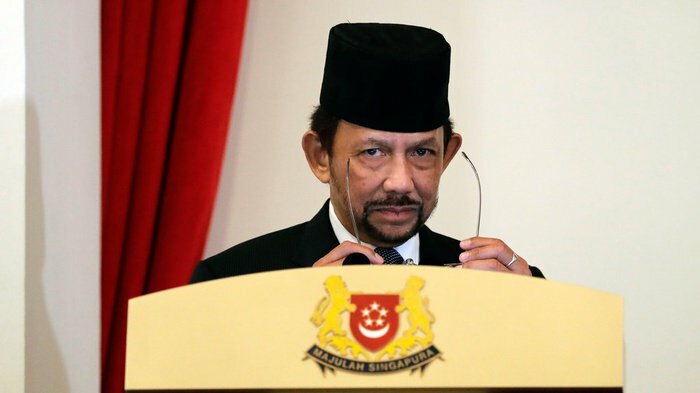 Similarly, Brunei outlaws criticism by legislating against insulting the Sultan: anyone who opposes his laws “shall be liable on conviction to imprisonment for a term not exceeding 5 years.” Perhaps these laws in Brunei are attempts to self-sanction the power of the monarchy against a regional trajectory towards democratisation. Perhaps they are attempts to create a performance of moral Islamic leadership to mask other issues. These gestures are not unique to Brunei. As the solidarity statement by ASEAN civil society pointed out, “this will further silence dissent, create a culture of fear among its people, and further shrink civic space in the country.” A culture of fear has long been familiar to Southeast Asians living under various forms of dictatorship, whether elected ones or self-appointed ones. Brunei’s Sharia Penal Code is designed to silence dissent, the first line of resistance against all forms of oppression. These laws push everyone further back into the closet of citizenship. The problem in the region therefore isn’t just homophobia and transphobia. It is a problem of undermined democracy by which those benefiting from feudalism, patriarchy and wealth politicise LGBT and race and religion to retain power. It is also a problem of governments wearing democracy like a mask to do trade with your governments, and then silencing people who point out the masks. Across Southeast Asia there are uneven paces on the long road towards democracy, marred by populism, majoritarianism and corruption. But even in countries that are supposedly opening up, for example Malaysia, spaces remain closed to some groups too hot for inclusion, for example LGBT people, religious minorities, women who dare to organise marches. When spaces close to some of us, we work together to turn the exclusive spaces into inclusive spaces. Those with access can create access for others. We open up spaces for each other. Our LGBT friends in Brunei are tired and afraid. But it is not true that they cannot speak. Yes, they have to worry at every turn about their safety, they have to pick their battles. They need secure platforms, they need good strategies, but they want to speak. In between the voices of the dictators on one side and the celebrities on the other, it is easy for us to lose those who matter. They may not say what we want to hear, they may want different things from what we are prepared to give. But that is okay. We need to help them to be heard. So, please be outraged by laws that take away our means of defending ourselves and speaking up for each other. Please be outraged when the weak are punished for being weak. Please be outraged by those in power undermining democracy and giving themselves more power. Please be outraged by laws and media that isolate us and keep us apart from society. Please stand in solidarity with us as we stand in solidarity with those affected by all unjust laws. Pang Khee Teik is the editor of QueerLapis.com, a website for and by LGBT people in Malaysia, and is also the Programme Manager for Innovation For Change-East Asia.